This report in the Doha News misses the fundamental problem with road safety in Qatar…which is a disregard for the rules, speed being one of them. 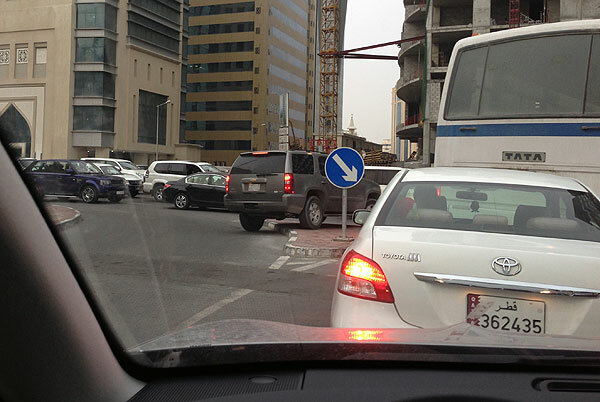 Queueing is normal part of any journey in Doha. Traffic signals are a long time between green so queues build up. Many driver chose to take short cuts bypassing the queueing traffic by driving along the hard shoulder and pushing in at the front. These next two examples of crazy driving break the rules and also demonstrate the impatience of many road users. Here the driver had jumped the line of cars by driving up the wrong side of the road, then over the triangle to force his way into the line of traffic. And in this example the driver was not prepared to wait any longer and took the shortest route to wherever he intended to go. The saga of the missing sheet has drawn to a satisfactory conclusion. The sheet is, of course, still AWOL, but the laundry have agreed to give me free laundry up to its value. So I will get free washes of my bedding for about the next 5 months… after which I will transfer my loyalty to the Lebanese laundry. This morning my wonderful colleague Ali, who sits at the next desk to me, brought in khlefat and mafrok. 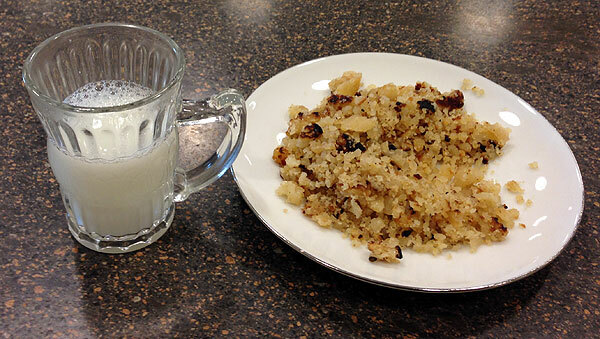 Translated into English, this is camel’s milk and bread. The bread, made by Ali’s wife was crumbly, eaten with a spoon and very tasty. The hot milk was rich and frothy from one of Ali’s camels. 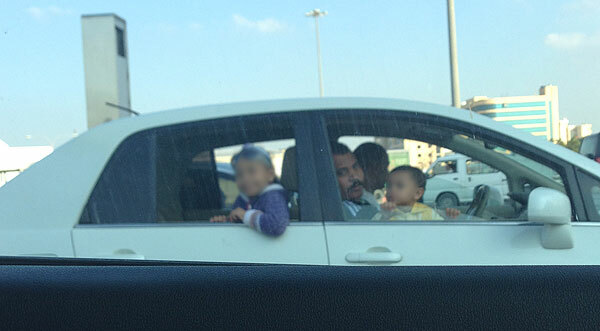 Today I saw something I’d never seen before in the 15 months I have lived in Qatar. 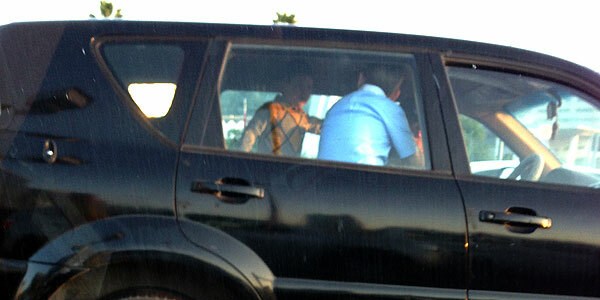 A child strapped into a car seat. Normally this is what I would see. 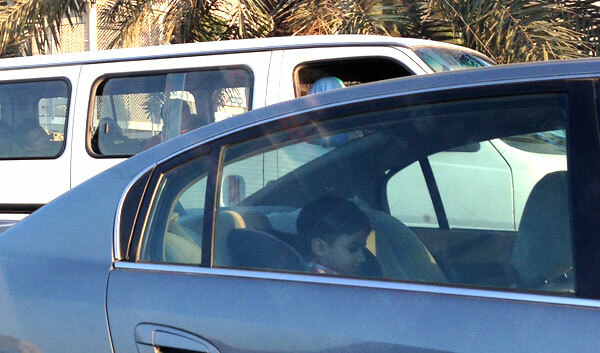 When the vehicle with the car seat passed me by, it was from Bahrain where clearly drivers have higher safety awareness. It, very much, looks like my business dealings with the Starry Laundry has probably now ended. My duvet cover has not reappeared and the laundry staff are at a complete loss of what to do next. I have, again, offered the suggestion that they give me free laundry to the value of the replacement sheet, but all I got was the non-committal Indian shake of the head. If that was not going to happen, I issued the warning that I would have to get my bedding washed elsewhere. I will try going back one more time to see if they have my sheet, but do not expect to ever see my duvet cover again, and I am equally doubtful that I will get the free laundry. Having issued the threat of taking my dirty sheets elsewhere, I now cannot backdown. There are plenty of laundries within a short walk of our flat. I am not convinced that any of the others will be any better. Starry is the nearest, the Al Abjer Laundry, is only another 100 metres further away. The next nearest was one I’d already tried when we first moved to the area… and they’d lost two pillow cases. 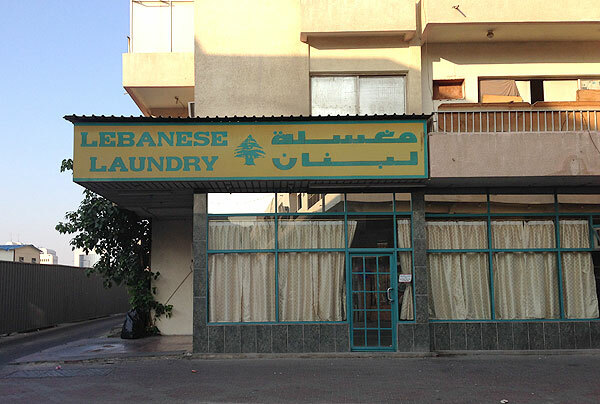 But I settled on the Lebanese Laundry. This morning I left 2 pillow cases, a fitted sheet and the brand new duvet cover with them. I hope this is the start of a successful new relationship. 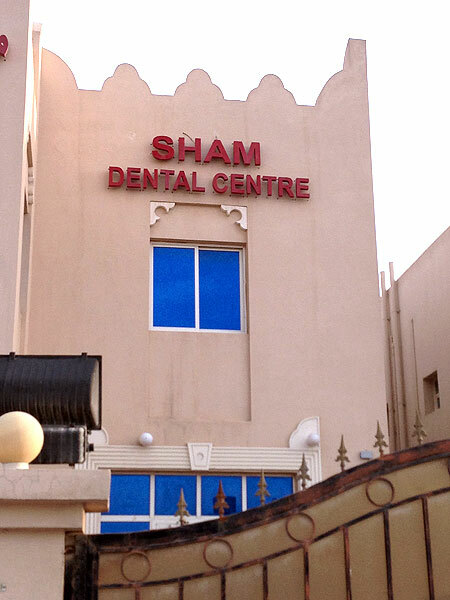 Qatar operates the Kafala system. I am sponsored by my employer to work in Qatar and I need their permission to leave the country. I usually apply for an exit permit a week or so before I intend to depart. Once it goes through the internal systems, it heads off digitally to ‘government’ where it gets final approval. Although I get confirmation from my employer that I can leave, it is always a somewhat worrying time as I don’t want to arrive at the airport being uncertain that I can actually leave. So today, I registered with Hukoomi, Qatar’s Online Government Portal. This will give me access to various online services, but why I needed it was to get email notification when my exit permit had been approved. I tried to complete the online registration, however the system would not accept my date of birth. I contacted the online chat. They suggested adding a random date and then changing once registration was completed… my date of birth is now 1 December 2013, so the system currently thinks I am a newborn baby. On submitting the form, I was informed I had to take my ID to one of the post-offices. I headed for the main post-office after work. I was directed to a counter. My ID was checked on a computer and I was sent to another counter. 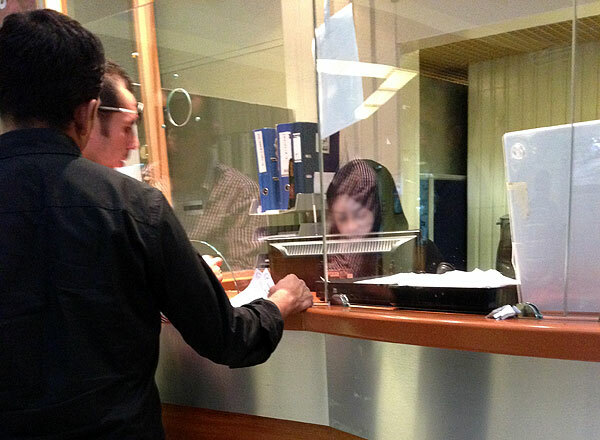 After ten minutes, their computer told me that I had already registered and was sent back to the first counter where I was given a document to sign and date and get a photocopy of my ID (cost 1QR) at the second counter. I returned to the first counter, and after a brief wait I was called over and told that registration was completed. I have no trips planned at the moment, but hopefully the system will give me reassurance that I will be able to leave Qatar ‘without let or hindrance’ as I recall it used to say on the old blue British passports. I now need to change my date of birth as they may not let a baby who looks like a grown man easy passage through passport control.